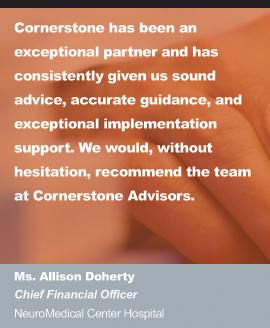 Cornerstone Advisors is an organization of seasoned professionals, united by a common commitment to provide the highest level of Advisory, Implementation and Resourcing services to our clients. 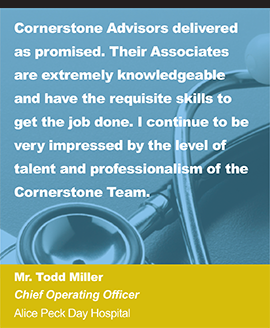 We are dedicated to healthcare and work hard to make valuable and meaningful contributions to our clients. 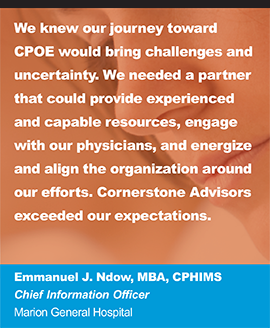 Our extensive, real-world experience enables us to understand and appreciate every client’s unique challenges while effectively partnering with them to drive change. 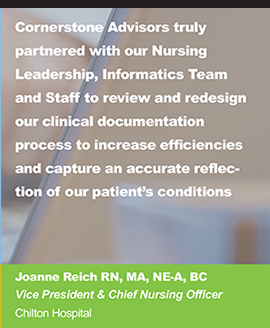 Our methodologies are proven and our outcomes measureable. 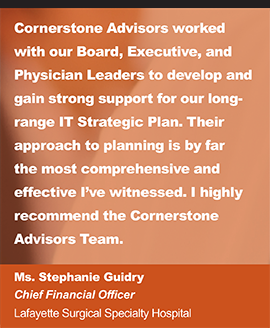 Our Advisory Services include a broad range of assessment, planning, and management offerings to help your IT, clinical and executive leadership establish and align around a common roadmap – one that is achievable, cost-effective and fine tuned to the specific needs of your organization. 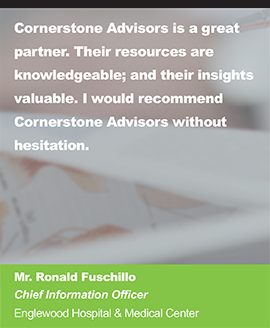 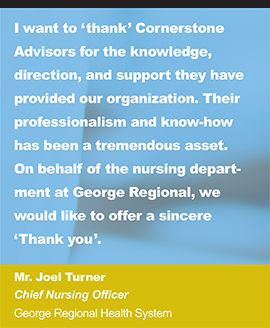 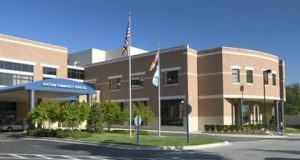 At Cornerstone Advisors, we have in-depth, hands-on experience helping clients implement complex inpatient, outpatient and ambulatory clinical and financial systems. 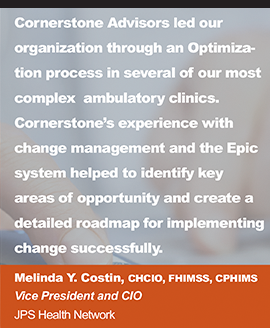 Our approach fosters a focus on operational alignment, process enhancement and measureable outcomes. 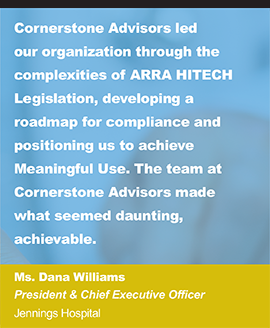 Our methodology addresses the human, workflow and technology components of an IT-enabled initiative, ensuring maximized value from your IT investment. 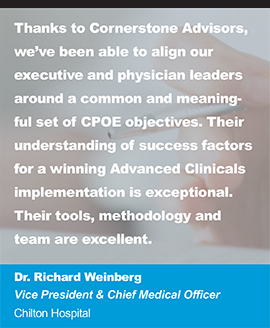 Whether implementing or optimizing a single module or performing an enterprise-wide system conversion or implementation, our talented associates and proven methods can help ensure the success your organization expects and deserves.